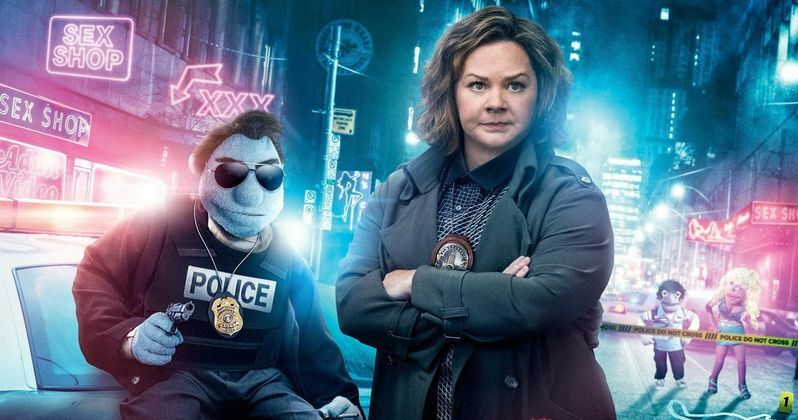 "Hilarious, wickedly original and crazily quirky" (Neil Pond, Parade), The Happytime Murders is directed and produced by Brian Henson (The Muppet Christmas Carol) alongside producers Jeffrey Hayes, Melissa McCarthy, and Ben Falcone. The film also features an all-star comedic cast including Melissa McCarthy (The Boss), Maya Rudolph (Bridesmaids), Joel McHale (Community), and Elizabeth Banks (Pitch Perfect). • Virtual Environments: Go behind the scenes to see the transformation of the film's virtual environments including visual effects through backdrops, action scenes, and the movements of the puppets themselves. • Avatars Demo: VFX supervisors discuss how The Happytime Murders created a new realm of puppet movies by using avatars to make the puppets come to life. • VFX Breakdown: An overview of the impact of visual special effects in the film. The Happytime Murders will be available on Blu-ray™, DVD and Digital. Blu-ray™ unleashes the power of your HDTV and is the best way to watch movies at home, featuring 6X the picture resolution of DVD, exclusive extras and theater-quality surround sound. Digital lets fans watch movies anywhere on their favorite devices. Users can instantly stream or download.